I think the thing that intrigued me the most about this book when I was contacted by the publisher was that the author herself went through this experience first hand and put to words her experience, in this fictional novel. I did read her other book The Art of Falling and loved how beautifully it was happy to get the chance to read this book. Disclaimer: I received an ARC from the publisher via NetGalley in exchange for an honest review, all opinions are my own. Kathryn Craft, a former dance critic who wrote for The Morning Call daily newspaper in Allentown, Pennsylvania, for nineteen years. Craft wrote exclusively nonfiction until she was plunged in the kind of real-life drama that demands attention. In 1997, after fifteen years of marriage, her husband committed suicide in a police standoff, leaving her and their two young sons. The Far End of Happy was born from Craft’s need to make sense of what her husband had done. Kathryn has been a leader in the southeastern Pennsylvania writing scene for more than a decade and is also the author of The Art of Falling. She lives in Doylestown, Pennsylvania. This story is told mostly from Ronnie’s point of view who is the wife of Jeff. After struggling for years within her marriage the day has come for Jeff to move out. The problem is that Jeff doesn’t want to let his family go, even though he’s had years to change. Jeff has locked himself into his office after his rifle fired off a few rounds. The SWAT team is called in and the standoff begins. Ronnie’s mother has her own ideas of how Ronnie should handle the situation, as well as Jeff’s own mother who struggles with her own demons. Jeff’s mother wants Ronnie to see how much he still loves her and their two kids. This story begs the question of just when is it time to give up, is hope enough, just how responsible are you for other people’s happiness. Ronnie has been keeping secrets in order to survive and raise her kids, but they play a big part in the story unfolding. The decisions to be made, can change the course of all their lives. Deeply moving, fast paced, heart wrenching, yet remaining hopeful. The Far End of Happy is a powerful new novel based on author Kathryn Craft’s personal experience with a stand-off involving her husband. Here Craft delivers “real, raw emotion” (Library Journal) exploring a marriage unraveled by mental illness; and one man’s spiral towards a violent conclusion that tests the courage, love, and hope of the three women he leaves behind. “Framing the novel within a 12-hour period keeps the pages turning (Library Jounral).” Narrating from the alternating perspectives of three women, whose lives will be forever altered by Jeff Farnham, gives an intimate look at the steps a woman will take to get the help her husband so urgently needs while desperately trying to keep her children safe. When the emotionally troubled Jeff engages police in a deadly stand-off, his wife, mother-in-law, and mother struggle to understand why the man they love has turned his back on the life they have given him, the one they all believe is still worth living. Ronnie already wanted to rewrite this story. To edit the cop’s words. To distance herself, change “husband” to “the man.” The man now staggering around the property with a gun; the man who may already have taken a shot; the man whose angst was seeping into her own nerves. Her husband—the gentle soul she’d married—would never have acted like the man she’d engaged with earlier today. “Call him Jeff, please,” she said quietly. The recitation she gave was devoid of animation. 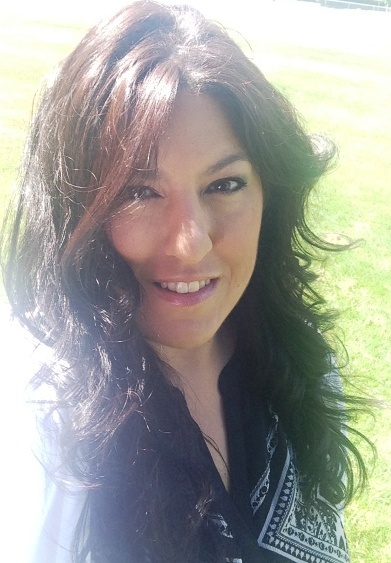 She felt empty and prickly, like an October cornfield in need of nutrients and a long, restorative winter. An evacuation from her home, beneath the cover of a helicopter dispatched from the state capitol, to protect her from her own husband? Ronnie felt as if her family had suddenly been thrust into an unwanted audition for a high-stakes reality show. Every few moments, as she delivered facts, she looked over at her mother, who was speaking quietly to Janet. She wondered if Beverly’s version differed. If her mother, or Jeff’s, blamed her. Because to them, and the rest of the world, it must look as if Jeff had been knocked off balance because Ronnie had decided to leave him. It even looked that way to her. The officer told Ronnie their primary goal was to locate Jeff, since he was armed and dangerous. Ronnie rubbed her arms—the room suddenly chilled her. She hadn’t thought to grab a jacket. The room’s narrow, high-set windows, made of glass bricks, were meant to obscure natural light. This was a room designed to allow sparkles from a mirror ball, gropes in the shadows. And so what? She was cold. She felt selfish thinking about it, with Jeff frozen all the way to the center of his soul. All that she and Jeff had meant to each other, all the intricacies of their marriage, boiled down to the same physical attributes that had first attracted her to him. “Five foot ten. Dark brown hair, thick, trimmed over ears some might call large.” Soft ears that lay flat against his head beneath her kisses. “Blue eyes.” Eyes that used to pierce her through with their naked honesty. “Broad hands.” Strong hands that always needed a project, now wrapped around a gun. 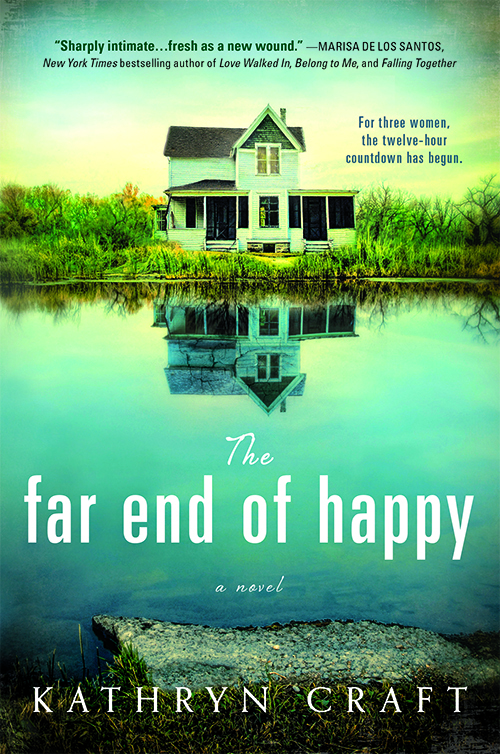 Want to win a copy of The Far End of Happy, well the publisher is giving away two copies so enter to win! It would make a great movie. Each woman is so varied in their opinion. It’s very well written. This book sounds really interesting! I’m going to have to see if my library has it! i can’t believe she went through something like this in real life. scary! its definitely on my list! I know, right? I can’t imagine having to go through something like that and have to make some of the decisions she had to make. It is really good and I could totally see it as a movie. Emotional and hard decision with the women all having a say in how they thought it should end. It was so well written and such a hard journey to read about but also hard not to get sucked into the story. It really was and the different point of views gave you something to think about. This sounds so good! Just recommended it for my library and they already have her other book! I agree with B, it would make a great movie! The Art Of Falling? I really liked her writing in that book. I think it would be a great movie, very character driven. This book is so on my list! Awesome!! Hope you like it! this sounds like an incredible book!! definitely checking it out! It was really good, and such a hard decision for a woman to make, and having to deal with every other person’s opinion. i couldn’t imagine! i’m reading a book right now that i think you might like — it’s called the lions of little rock. it’s a quick read and i’m almost done but check it out on good reads. also, i finished Wonder yesterday and i think you’d love that! I’ll have to check it out! Thanks! I have Wonder on my to-read list. I need to start making a dent in that list.